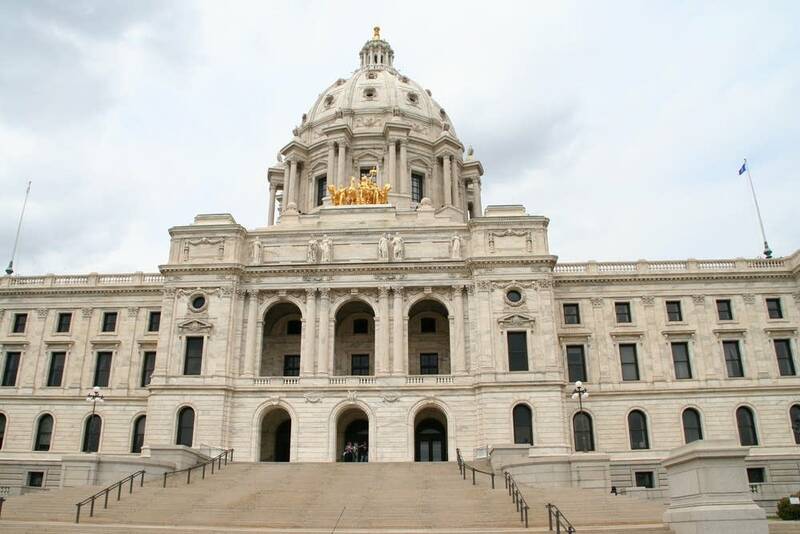 When Minnesota lawmakers return to the Capitol next week, they will be thinking about taxes. They won't have the looming April 15 filing deadline on their minds, but rather how they should cut taxes with the nearly $1.9 billion state surplus. It won't be easy. House Republicans want $2 billion in tax cuts. But Gov. Mark Dayton and Senate Democrats want far less, and they're warning that a too hefty give-back could set the stage for future deficits. With 10 days off, legislators are back home in their districts for some time to reconnect and recharge. House Tax Committee Chair Greg Davids has other plans. "I'm taking the spreadsheets with me over Easter break," said Davids, R-Preston. "I'll be spending a lot time on this Easter vacation not being on vacation." In trying to piece together a tax bill that meets the House Republican goal, Davids is paring down a stack of proposals that already top $9 billion. House Republicans haven't specified which taxes they plan to cut. But a big share of their proposals, including the session's first bill, are aimed at helping businesses. Davids said his strategy is to touch as many taxes as possible. "I don't have it drafted up yet," he said. "But I can see starting to phase certain things out so you can do more things, rather than just one or two big things, whether it be the estate tax, whether it be not taxing Social Security, whether it be veteran benefits, the child care tax credit that the governor is supporting." Davids said his goal is to pass a tax bill that Dayton will sign. That's why he's not trying to repeal the income tax increase on top earners that Dayton signed into law in 2013. "Why would you go after the governor's premiere legislation when you want a bill signed? That makes no sense to me whatsoever," Davids said. "So, I'd to skip the political part of things and get right to the policy." But $2 billion in other cuts would send back roughly the same amount of money that Dayton's income tax increase brought in. 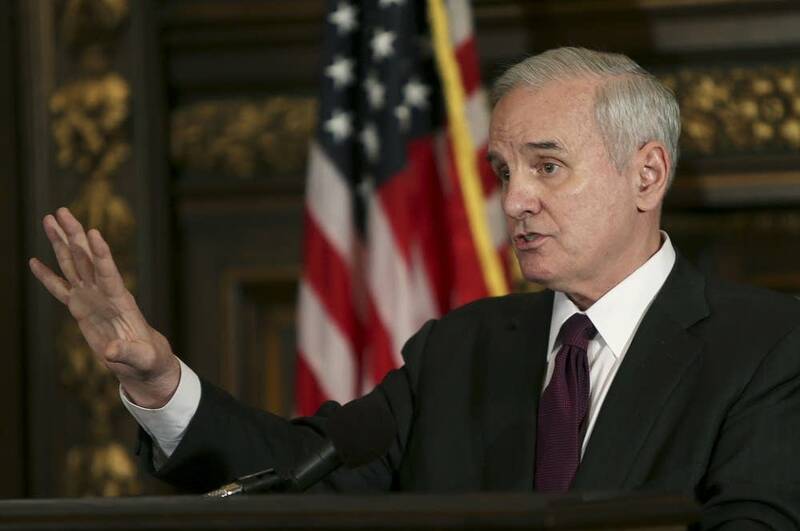 Dayton said last week that taking away that much tax revenue would come back to haunt lawmakers. "The saying goes, those who don't learn the lesson of history are doomed to repeat its mistakes," he said. "It's just setting us up for another fiscal collapse and borrowing from the schools and all the things that we spent the last four years digging Minnesota out of and the growing Minnesota economy has spent getting us out of. "Now people ... just evidently don't remember or don't care about what happened back then seem to be prepared to do it again." The tax relief in Dayton's revised budget plan totals $197 million. Most of it is for an expansion of child care tax credits. Similarly, Senate Democrats announced last week that they're proposing about $225 million in tax cuts. They've said property tax relief and aid to local governments will be part of their plan. Senate Majority Leader Tom Bakk also cautioned against repeating past mistakes. Bakk, DFL-Cook, said there definitely won't be a replay of the 1999 tax rebate checks that were a signature issue of another governor, Jesse Ventura. "The Senate is not going to do Jesse-type checks coming out of this session," Bakk said. "I got an email last night from a guy that said 'I'm a Republican.' But he said, 'don't send me $350.' I think most Minnesotans understand that it's better to invest that money in our public infrastructure or in our educational systems when we have some resources, or in our budget reserves." Bakk said restraint is needed from all sides in the end-of-session negotiations to ensure a sound structural budget for the next Legislature. Lawmakers have until May 18 to finish their work.